Who's Behind All That Tasty BBQ? In April 2009, Jeffrey Nicoletta, a US Navy veteran turned restaurateur, and Ali Nicoletta, with heaps of hands-on experience, opened Bubba's Smokehouse BBQ. Years later, Bubba's Smokehouse BBQ mouth-watering, lip-smacking, falling off the bone ribs are a smoking success! 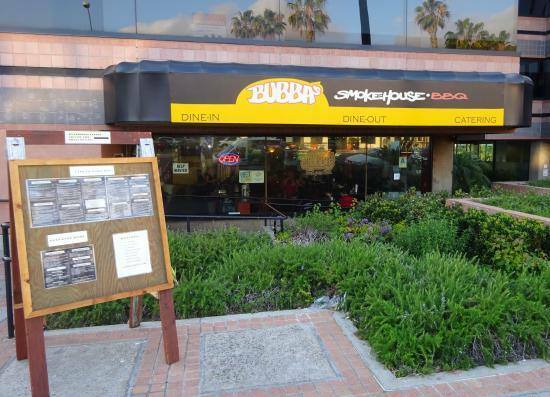 Located in La Jolla, this casual, family-friendly restaurant serves up Southern-styled ribs, pork, tri-tip, brisket, and chicken with a variety of delicious home-style side orders. And for those wanting lighter fare, Bubba's Smokehouse BBQ offers a variety of hearty salads designed to give a BBQ experience but with a more "healthy" alternative. Join us and our community at Bubba's Smokehouse BBQ for authentic southern BBQ at affordable prices.